I don’t know about you but i haven’t given very much thought of how do i feel the instance that i press the “share” button. I recently found out that i was ignoring a much more important part of online marketing than it seems, and i corrected myself, all because of emotions. When it comes to what we feel, everything can be expressed as a sum of four basic emotions: happy, sad, afraid and angry, that combine themselves and form a variety of other feelings about which we may or we may not be aware. For better understanding of this we may look at Robert Plutchik’s famous “wheel of emotions” that shows just some of the well known emotional layers. Studies have also revealed that the emotional state that “gets” the most of the likes is happiness, which is normal if we consider that our first emotional action in life is to respond to our mother’s smile with a smile of our own. Obviously, joy and happiness are hard-wired into all of us, as discovered by the psychoanalyst Donald Winnicott. 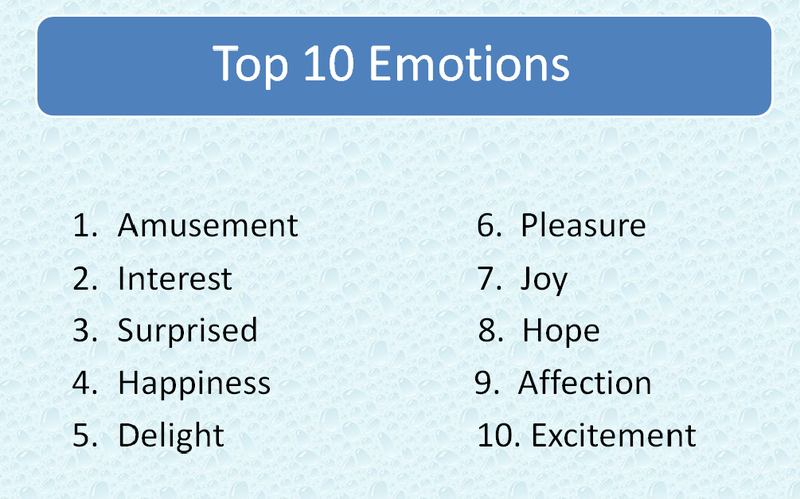 And because happiness almost never comes as a self sustainable feeling we can see that the top 10 emotions that people have when sharing something are made of positive ones, as studied by Fractl. More than this Jonah Berger, professor of marketing at the University of Pennsylvania’s Wharton School and author of Contagious: Why Things Catch On, conducted a study from which he found that an article was more likely to become viral the more positive it was. Of course we shouldn’t neglect that there are also other feelings that may interact with our online behavior. For instance sadness helps us connect and empathize by producing cortisol, known as the “stress hormone”; and oxytocin, a hormone that promotes connection and empathy. Further research revealed that when we are angry the hypothalamus makes us more stubborn and fear only makes us more desperate to find something or someone to cling on. 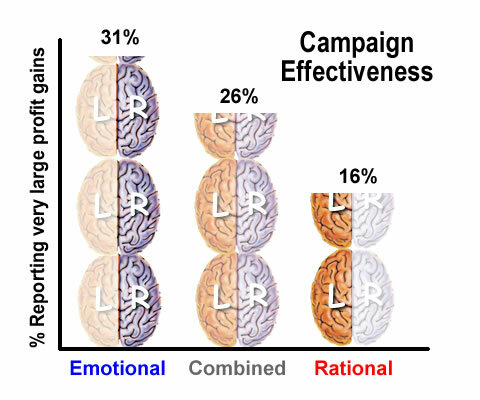 Considering all this information is easy to understand the high significance of emotions in marketing, especially when considering that an analysis of the IPA dataBANK, which contains 1,400 case studies of successful advertising campaigns where, campaigns with purely emotional content performed about twice as well (31% vs. 16%) as those with only rational content. And this is why we can’t underestimate the importance of understanding the science of emotion in marketing! This entry was posted in Data & Research, News and tagged analysis, marketing, opinion, sentiment analysis on March 17, 2014 by Bogdan Balcan.